These champagne cupcakes make a great treat for an adult party - be it an elegant party or a bachelorette party. You'll want to use a sweet champagne rather than dry, pink champagne would work too. You can play with the flavors by adding fillings or different icings. Add orange curd filling or orange-flavored buttercream for mimosa cupcakes, ice with raspberry buttercream and top with a fresh raspberry. Top champagne cupcakes with a chocolate covered strawberry for a fancy dessert. You could also make them mini cupcakes for a cocktail party. 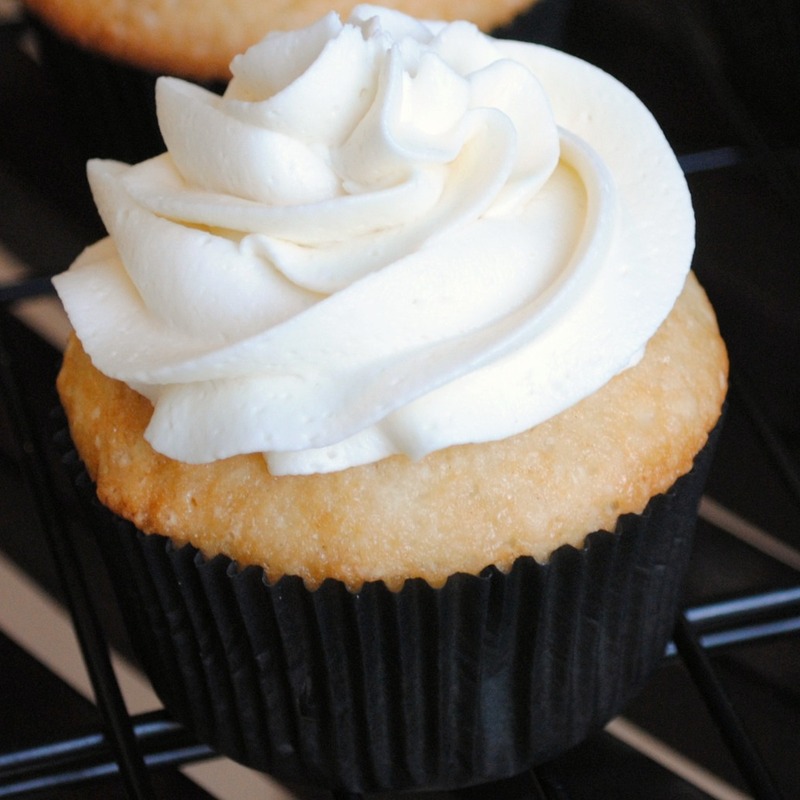 The recipe below is for a classic champagne cupcake with a champagne buttercream. Preheat oven to 350 degrees and line muffin pan with paper liners (recipe yields about 22 cupcakes). Combine flour, baking powder and salt in a large bowl and whisk to combine. In mixing bowl, cream butter and sugar on medium high speed until light and fluffy, about three minutes. Add flour mixture in three additions, alternating with two additions of champagne combined with vanilla. In a clean bowl, beat egg whites on high speed until they hold stiff peaks. Fold in about 1/3 of the egg whites to lighten the batter then gently fold in the remaining egg whites. Transfer batter to cupcake liners, filling each about 2/3 of the way full. Bake approximately twenty minutes, until a toothpick inserted in the center comes out clean. Cool about five minutes in the pan and then transfer to a wire rack to cool completely. In a large mixing bowl, beat butter on medium high speed until smooth and fluffy, about three minutes. Add vanilla extract and about three cups of powdered sugar. Mix on low speed to combine. Add in champagne and mix on low to incorporate. 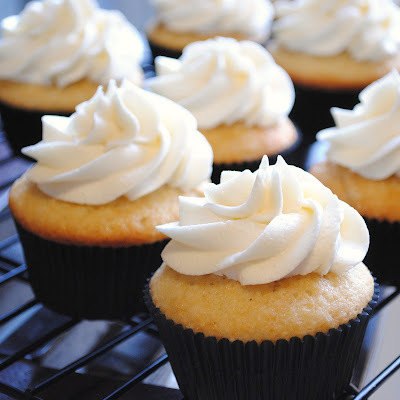 Increase speed to medium and beat about one minute to whip frosting. If frosting appears to be thin, add additional powdered sugar as necessary to reach desired consistency. Frost cooled cupcakes as desired. These look awesome! We had a champagne cake at our wedding, but I never thought about making it myself. I want to make these for my sister-in-law's bridal shower! Does the champagne flavor come out a lot in the icing? Would it be possible to just do a regular buttercream? I can get away with baking with champagne for some of the family members I think, but maybe not adding it to the icing... thoughts? @megan - if you don't want an obvious champagne flavor I would do a regular buttercream. So elegant - what a great idea! I love a champagne cupcake, try an almond champagne! These are adorable! And so elegant! That frosting looks PERFECT!!! Beautiful cupcakes! WOW! I am a cupcake lover and, of course, this just makes me want to whip up a batch of Champagne Cupcakes right now because I just so happen to have a bottle of pink champagne on hand... Thanks so much for the recipe. I will definitely try them SOON. So very pretty! You did a beautiful job frosting them. Yummy! I love making cupcakes and these look as elegant as a glass of bubbly. These look delicious and very elegant! I just made them and they are delicious! I'm not sold on the frosting, but the cakes themselves were light, fluffy and flavorful. Yum! these look sooo good! definitely going to be trying this out!